this one is for the bay area folks! 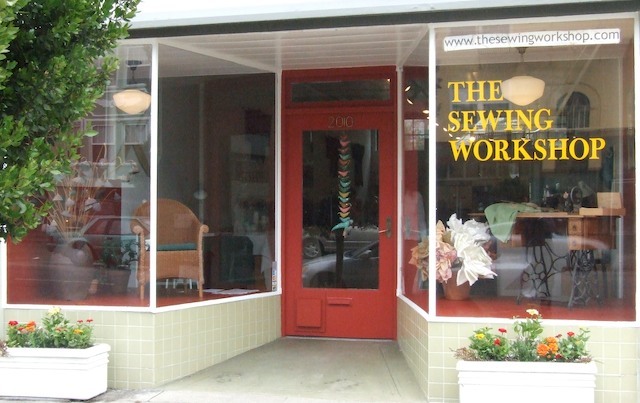 the sewing workshop is a "sewing and arts school" in san francisco's richmond district that offers private sewing lessons, plus a TON of classes geared toward the fashion-minded do-it-yourself-er, focusing on sewing, embellishing, restyling, and the like. many of the classes seem to be broad in their subject matter (like beginning sewing: learning the basics), specially crafted to teach prospective students the basics of an area of interest, while others are project-based (such as the jean jacket workshop) and still others teach special interest skills (like japanese shibori for today).